Bacteria of the genus Enterococcus are lactic acid bacteria (LAB), which occur ubiquitous in many traditional fermented foods, especially artisanal cheeses, playing positive role in the development of cheese flavor. Moreover, several enterococci are successfully used as a pharmaceutical probiotic and some of them are able to produce bacteriocin and bioactive peptides, thanks to which the possibilities of application of enterococci in dairy technology and biotechnology are increased. 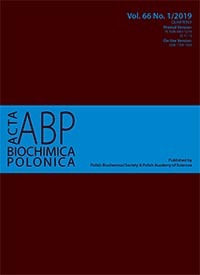 The aims of the study were to investigate the proteolytic potential and identify the key enzymes of proteolytic system of Enterococcus faecalis isolated from artisan Polish cheeses. An extracellular - secreted (E) and a cell envelope proteinase (CEP) were isolated and enzyme activity depending on bacterial growth phase was evaluated. CEP showed a higher protease activity than E and this fraction has been purified 70-fold by a method including precipitation, diafiltration and gel filtration chromatography. The molecular mass of the enzyme has been estimated to be ~25 kDa by SDS-PAGE. Maximum enzyme activity of the proteinase has been observed at pH 6,9 and 37 ºC. The enzyme was able to hydrolyze: casein, bovine serum albumin, α-lactalbumin, β-lactoglobulin, but not Leu-pNa. The results of zymography, SDS- PAGE and LC-MS-MS/MS data allowed us to identify the key enzymes of proteolytic system of E. faecalis as coccolysin and glutamylendopeptidase. To asses microbiological safety of the tested strain, the evaluation of the presence of virulence factors and antibiotic susceptibility was also conducted.